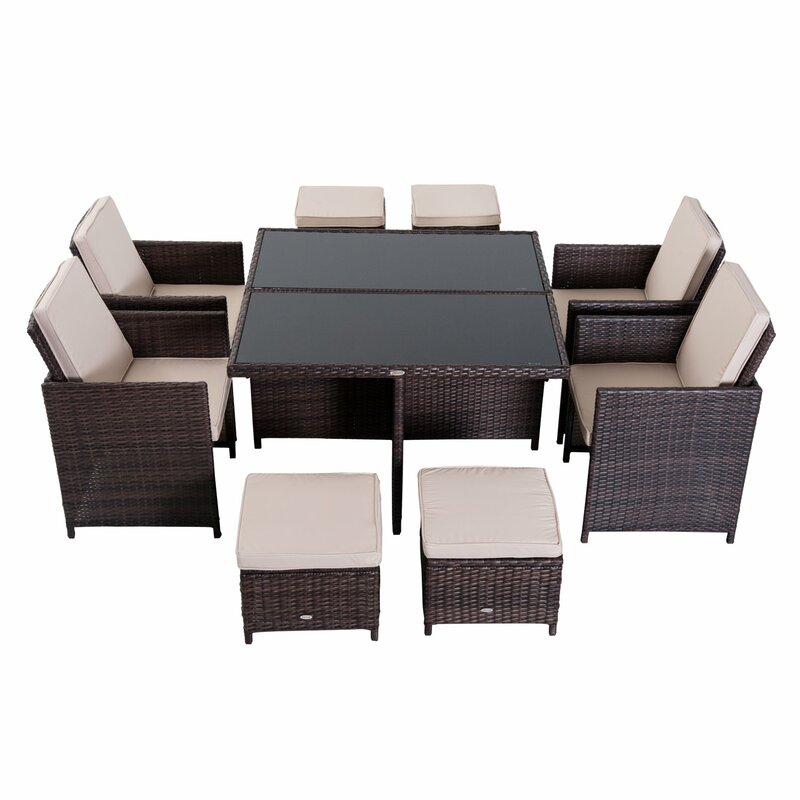 The Outsunny 9-piece outdoor wicker dining set with cushions is suitable for any occasion. The elegant rattan dining set includes 1 table, 4 armchairs and 4 footrests made of aluminium frame and PE rattan. The wicker and tempered glass table combination looks fashionable and create a modern style for your living area.